TATE's mission is to increase the public’s enjoyment and understanding of British art from the 16th century to the present day and of international modern and contemporary art. 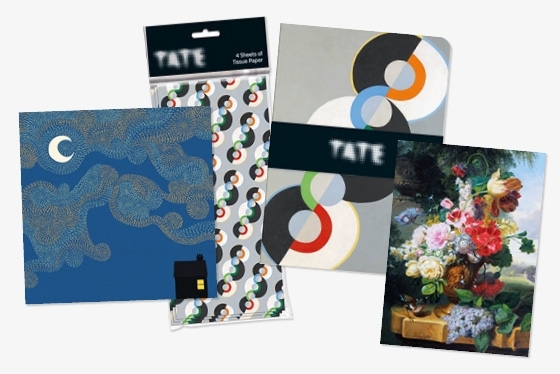 The new TATE range comprises 40 greetings cards in 2 sizes, notecards, and stationery items. Featuring a mix of classic British fine art and contemporary art, alongside unique commissioned imagery from TATE’s own publishing program, the collection offers bold and colourful imagery from a world-recognised art brand. To see the full range of our branded products please click on the following link, TATE Products.